Box Text: Wield the blade. Claim the Monado, an ancient weapon with the power to reveal the future, and lead the charge against a vicious army of mechanical invaders. Set off for distant horizons and discover the secrets of a vast land with a mysterious past. Witness events before they unfold and fight to change the future as the ultimate sword becomes your ultimate ally. 11-28-2015 silverbow Box Text Wield the blade. Claim the Monado, an ancient weapon with the power to reveal the future, and lead the charge against a vicious army of mechanical invaders. Set off for distant horizons and discover the secrets of a vast land with a mysterious past. Witness events before they unfold and fight to change the future as the ultimate sword becomes your ultimate ally. 04-07-2012 mrnelson Box Text Wield the blade. Claim the Monado, an ancient weapon with the power to reveal the future, and lead the charge against a vicious army of mechanical invaders. Set off for distant horizons and discover the secrets of a vast land with a mysterious past. Witness events before they unfold and fight to change the future as the ultimate sword becomes your ultimate ally. 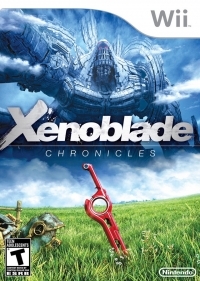 This is a list of VGCollect users who have Xenoblade Chronicles in their Collection. 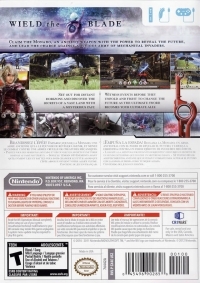 This is a list of VGCollect users who have Xenoblade Chronicles in their Sell List. 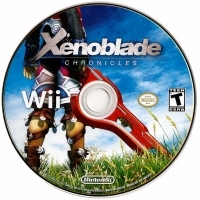 This is a list of VGCollect users who have Xenoblade Chronicles in their Wish List.